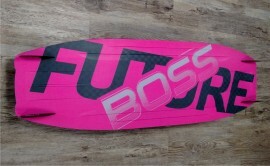 The Lady Boss is the ultimate board for the experienced beginner to advanced rider that demands that little bit extra. 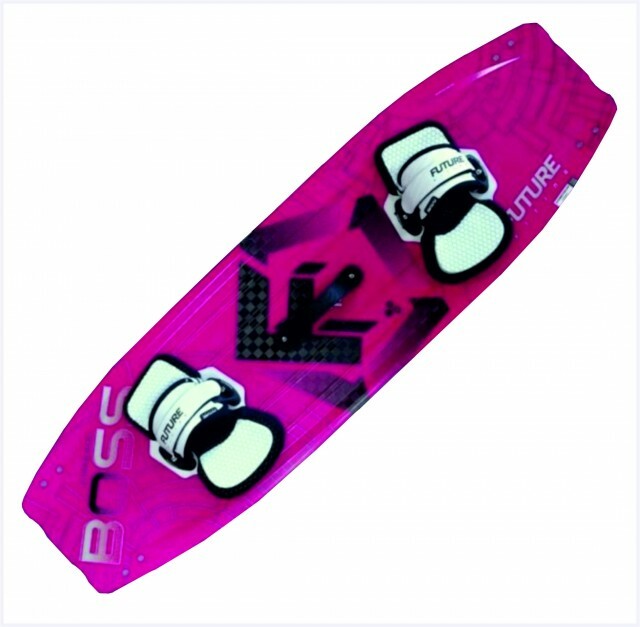 It excels at freestyle with a medium flex that develops an impressive pop off the water and precision handling while the board shape allows it to be great in the waves and for old school tricks. The Lady Boss eats the chop with ease giving a nice smooth ride. 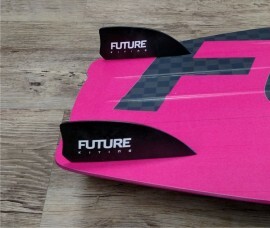 This board has been designed for the female rider incorporating a special flex pattern for the female stance. 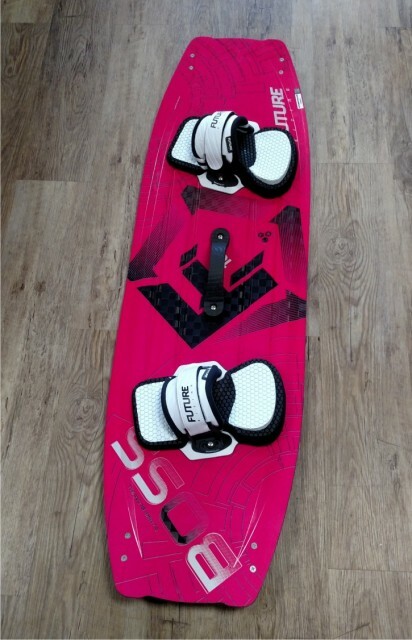 This Lady Boss is 133cm x 39cm and is complete with 40mm fins, handle and pads and straps. 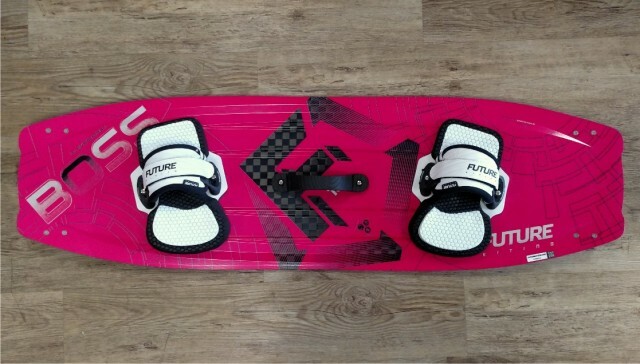 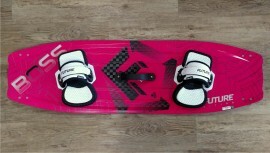 This board is designed to be ridden with pads and straps (supplied) or boots. 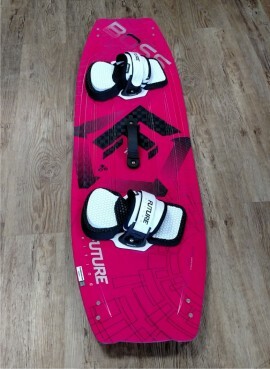 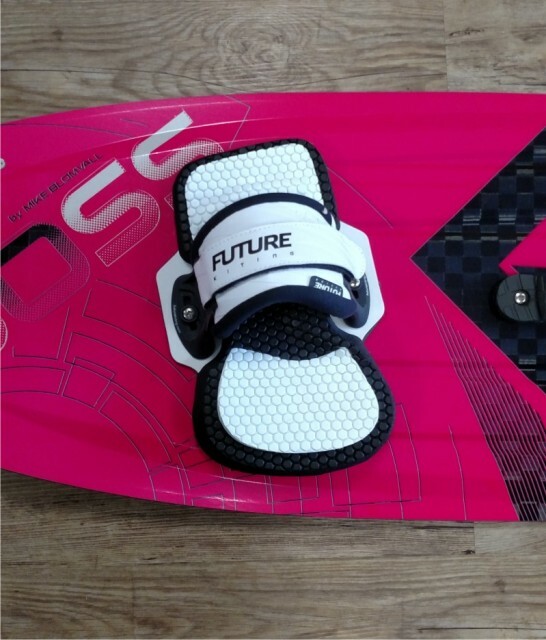 FUTURE BOARD SATISFACTION GUARANTEE-We import the Future kite boards into the UK. We are so sure of the quality and handling of the board, if you are not 100% happy you can return it for a full refund.